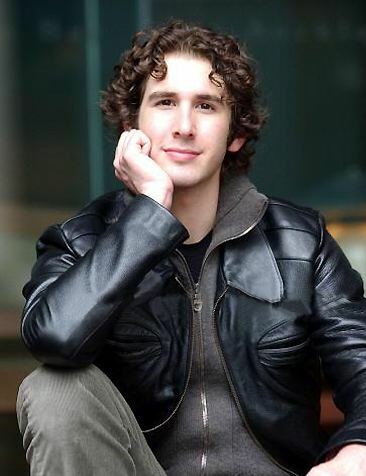 Joshua Winslow Groban (born February 27, 1981) is an American singer, songwriter, actor, and record producer. His first four solo albums have been certified multi-platinum, and he was charted in 2007 as the number-one best selling artist in the United States, with over 22.3 million records in the nation. As of 2012, he had sold over 25 million records worldwide. David Foster called Groban to stand in for an ailing Andrea Bocelli to rehearse a duet, "The Prayer", with Celine Dion at the rehearsal for the 1998 Grammy Awards. Rosie O'Donnell immediately invited him to appear on her talk show. Foster asked him to sing at the California Governor's Gray Davis' 1999 inauguration. He was cast on Ally McBeal by the show's creator, David E. Kelley, performing "You're Still You" for the 2001 season 4 finale. Groban was born in Los Angeles, California, to Lindy (née Johnston), a school teacher, and Jack Groban, a businessman. Groban's younger brother, Chris, was born on Groban's fourth birthday. Groban's father is a descendant of Jewish immigrants from Poland and Russia, who converted from Judaism to Christianity upon marrying Groban's mother. Groban's mother's ancestry includes English, German, Norwegian, and Jewish. His parents are Episcopalians. Groban first sang in public when he was in the seventh grade. His music teacher chose him to sing a solo of "S'wonderful" at the school's cabaret night, where he sang alone on stage for the first time. At this time, he was more focused on acting, playing Tevye in his high school's production of Fiddler on the Roof. In the summers of 1997 and 1998, he also attended the Interlochen Center for the Arts Camp in Michigan, majoring in music theater, and began taking vocal lessons. He went on to attend the Los Angeles County High School for the Arts as a theater major and graduated in 1999. He was admitted to and briefly attended Carnegie Mellon University, intending to study musical theatre, but left four months into his first semester after being offered a recording contract and deciding to pursue his singing career. In late 1998, the 17-year-old Groban was introduced by his vocal coach, Seth Riggs, to Grammy-winning producer and arranger David Foster and future manager Brian Avnet. At the time, Groban had no recording experience and was preparing to begin studying at Carnegie Mellon University. Groban worked for David Foster as a rehearsal singer on a series of high-profile events, including the January 1999 inauguration of Gray Davis as Governor of California and the 1999 Grammy Awards where—as a stand-in for Andrea Bocelli—he rehearsed Foster's "The Prayer" with Céline Dion. According to manager Avnet, Groban was very nervous about standing in for Bocelli and had to be talked into it, but his performance prompted the show hostess, Rosie O'Donnell, to ask him to appear on her show the following week, which then led to an appearance on Ally McBeal. Creator David E. Kelley created character Malcolm Wyatt for Groban in the season finale aired in May 2001. The character of Malcolm Wyatt was so popular, prompting 8,000 emails from viewers, that Groban was asked to return the next season to reprise his role and perform "To Where You Are." Avnet claims this sequence of events effectively got Groban's career off the ground. Groban was offered a recording contract at Warner Bros. Records through Foster's 143 Records imprint. Avnet told HitQuarters that Warner initially proved resistant to the deal because "They were afraid they wouldn't be able to get a voice like that on radio." Explaining his reasons for signing the artist, Foster said: "I love his natural ability in the pop and rock arena, but I love his sense of classics even more. He's a true musical force to be reckoned with." Under Foster's influence, Groban's first album focused more on classics such as "Gira Con Me Questa Notte" and "Alla Luce Del Sole." Groban performed "There For Me" with Sarah Brightman on her 2000–01 La Luna World Tour, and was featured on her "La Luna" concert DVD. He recorded "For Always" with Lara Fabian on the movie soundtrack to A.I. : Artificial Intelligence (2001). Groban performed in many benefit shows, including: "The Andre Agassi Grand Slam Event For Children," singing alongside Elton John, Stevie Wonder, Don Henley, and Robin Williams; "Muhammad Ali's Fight Night Foundation" which honored Michael J. Fox and others; "The Family Celebration" (2001), which was co-hosted by President Bill Clinton and his wife, Hillary Clinton, and David E. Kelley and his wife, Michelle Pfeiffer; and Michael Milken's CapCure event, which raises funds for cancer research. 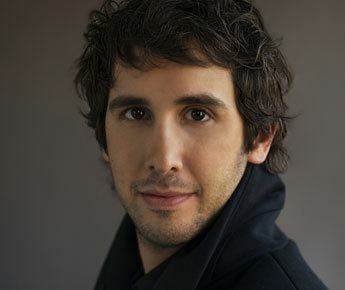 The singer's self-titled debut album Josh Groban was released on November 20, 2001. Over the next year it went from gold to double-platinum. On February 24, 2002, Groban performed "The Prayer" with Charlotte Church at the closing ceremonies of the Winter Olympics in Salt Lake City, and by November, he had his own PBS special, "Josh Groban In Concert" (2002). In December 2002, he performed "To Where You Are" and sang "The Prayer" in a duet with Sissel Kyrkjebø at the Nobel Peace Prize Concert in Oslo, Norway. He joined The Corrs, Ronan Keating, Sting, Lionel Richie, and others for a Christmas performance at the Vatican in Rome, Italy. In 2003, Groban performed at the David Foster concert for World Children's Day, singing "The Prayer" with Celine Dion and the finale song, "Aren't They All Our Children?" with artists including Yolanda Adams, Nick Carter, Enrique Iglesias, and Celine Dion. Groban's second album Closer, produced and written by Foster, was released on November 11, 2003. Groban said that he believed that this second album was a better reflection of him, and that his audience would be able to get a better idea of his personality from listening to it. Two months after Closer was released, it rose on the Billboard charts from number 11 to number one. Groban's cover of "You Raise Me Up" became his third most popular song on the adult contemporary charts as of March 2004. Later that year, he also performed the song "Remember" (with Tanja Tzarovska) on the Troy soundtrack, "Believe" on the soundtrack to the 2004 animated film The Polar Express and a cover of Linkin Park's "My December". In the summer of 2004, Groban returned to Interlochen, performing and discussing his earlier experiences with local residents and campers. On November 30, 2004, his second live DVD, Live At The Greek, was released; it was also shown as a Great Performances special on PBS. Also in 2004, Groban performed "Remember When It Rained," backed by a full orchestra, at the American Music Awards, where he was nominated for Favorite Male Artist in the pop category; he was also nominated for a People's Choice Award in that year. His recording of "Believe" secured a 2005 Academy Award nomination for the song's two writers, Glen Ballard and Alan Silvestri, and earned them a Grammy in the category Best Song Written for a Motion Picture, Television or Other Visual Media at the ceremony held in February 2006. Groban earned his first Grammy nomination in 2005 for his single "You Raise Me Up" in the Best Male Pop Vocal Performance category. During the first week of September 2006, Groban's single entitled "You Are Loved (Don't Give Up)" was released exclusively on AOL's First Listen. His third studio album Awake was officially released on November 7, 2006. Groban performed "You Are Loved (Don't Give Up)" as well as two other tracks from Awake at his recording session for Live from Abbey Road at Abbey Road Studios on 26 October 2006. On that album, Groban also collaborated on the single "Now or Never" with British musician and songwriter Imogen Heap. He performed two tracks with the South African group Ladysmith Black Mambazo, "Lullaby" and "Weeping." Groban's "Awake" world tour visited 71 cities between February and August 2007, and toured Australia and the Philippines with Lani Misalucha as his special guest in October 2007. He performed a duet with Barbra Streisand ("All I Know of Love") and with Mireille Mathieu ("Over the Rainbow"). As to his future, Groban is open to a plethora of possibilities. He said, "I am fortunate enough to have had many really big moments in my career. I think the mistake a lot of people in my position make is to always search for the next big thing. I am looking forward to playing some small theaters. I'm looking forward to writing more. I want to delve further into my acting career and explore some of the film and TV opportunities that I haven't had time for. My outlook is to expect the unexpected. And when the next step comes, I'm prepared to take it." Groban finished his fifth studio album, entitled Illuminations, and the album was released on November 15, 2010. Most of the songs on the album are about "specific situations that I've had where love has existed and ultimately failed," Groban told The New York Times, adding: "And other songs are about the quest, and it just not working out." Groban wrote 11 of the 13 songs on the album. The first single from the album, "Hidden Away," was made available for free download via Facebook on September 8. "For me to sit in a room with a piano in one take with some of Johnny Cash's musicians—that was totally new for me." Josh added. "and I think that excitement is on the record." On October 12, a second single from the upcoming album, "Você Existe Em Mim", was made available on iTunes. This song is sung in Portuguese and was written by Brazilian artist Carlinhos Brown. The Washington Post said: "Illuminations" is not a revelation, but it offers a perfectly fine, and often quite lovely, glimpse at a pop-classical crossover artist in the middle of crossing over." Groban plans on making one more record with Rick Rubin. Beginning May 12, 2011 and continuing through December of that year, Groban undertook the 81-city Straight to You Tour to promote Illuminations, encompassing appearances in North America, Europe, and South Africa. Groban's sixth studio album, All That Echoes was released on February 5, 2013, debuting at number one by selling 141,000 copies. Groban promoted the album with the All That Echoes World Tour in 2013. A year later, he embarked on his Summer Symphony Tour. 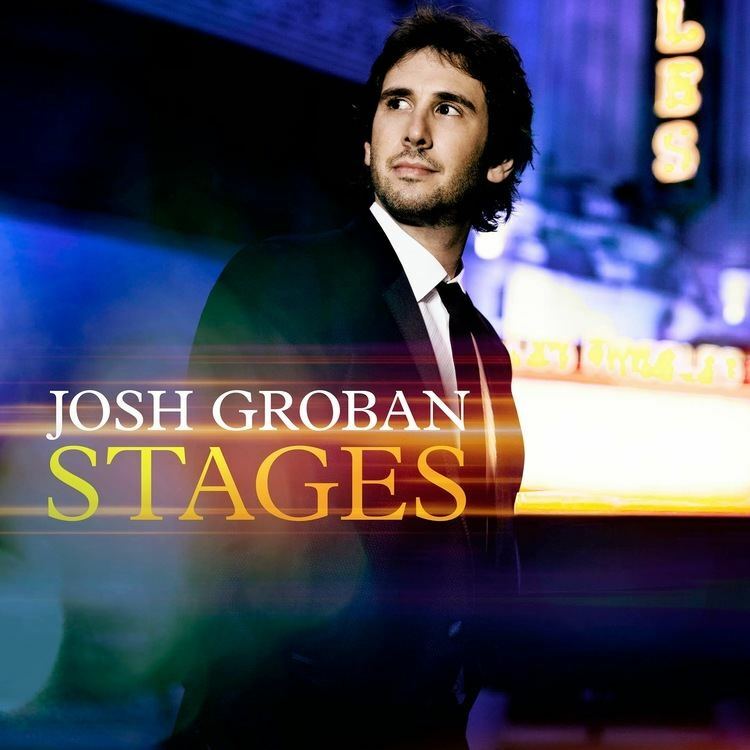 In March 2015, Josh Groban's Facebook page announced the release of a new album called Stages, consisting of covers of songs from Broadway musicals. The album was released on April 28, 2015. 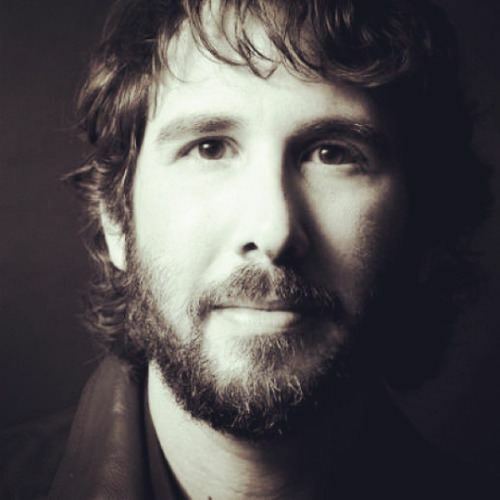 Starting October 18, 2016, Groban performed on Broadway as Pierre Bezukhov in Natasha, Pierre & The Great Comet of 1812, an electropop opera by composer Dave Malloy based on War and Peace. For his performance as Pierre, Groban was nominated for the 2017 Tony Award for Best Actor in a Musical.His final performance as Pierre was on July 2, 2017. Groban also performs the song "Evermore" during the end credits of the 2017 Disney film Beauty and the Beast. In June 2007, Groban recorded a Christmas album in London with the London Symphony Orchestra and the Magdalen College Choir, which he discussed on the DVD from "The Making of Noël". It was released on October 9, 2007, and is titled Noël. The album has been highly successful in the U.S., breaking numerous records for a Christmas album, as well as becoming the best selling album of 2007 in only its tenth week of release, at sales of 3.6 million. On July 1, 2007, Groban performed with Sarah Brightman at the Concert for Diana at Wembley Stadium; it was broadcast to over 500 million homes in 140 countries. On February 10, 2008, Groban performed at the 2008 Grammy Awards with Andrea Bocelli in a tribute to Luciano Pavarotti. On April 14, 2008, Groban joined Idina Menzel for a PBS Soundstage taping. The next day, he held his own taping for the same PBS TV series at Lincoln Center's Rose Hall at Jazz in Manhattan. On May 12 and 13, 2008 At Royal Albert Hall, London, Groban performed as "The Russian" Anatoly Sergievsky; joining with Broadway stars Idina Menzel and Adam Pascal in "Chess in Concert" a live concert version of the musical Chess composed by Benny Andersson and Björn Ulvaeus of ABBA fame. This performance has since been made into a DVD and CD recording. On September 21, 2008, Groban performed a comical medley of well-known TV theme songs at the 60th Annual Primetime Emmy Awards. In December 2008, Groban appeared on Never Mind the Buzzcocks. He performed a duet with Only Men Aloud! at the Royal Variety Show at the London Palladium for the Prince of Wales and Duchess of Cornwall. On January 18, 2009, Groban performed as part of the Presidential Inauguration ceremonies, performing "My Country 'Tis of Thee" in duet with Heather Headley. On January, 19. 2009, Groban performed with Herbie Hancock as part of Feeding America's Rally Against Hunger in Washington DC. The event was also attended by Martin Luther King III and actor Ben Affleck. At the 2010 BCS National Championship Game, he performed the Star Spangled Banner on Jan. 7, 2010, with Red Hot Chili Peppers bassist Flea, at the historic Rose Bowl in Pasadena, California. Groban has appeared on The Oprah Winfrey Show six times, as well as on The Ellen DeGeneres Show, Larry King Live, The Rosie O'Donnell Show, Tim & Eric Awesome Show, Great Job!, The Tonight Show with Jay Leno, 20/20, Today, Macy's Thanksgiving Day Parade, Super Bowl XXXVIII, and Jimmy Kimmel Live. He has also been a guest co-host on Live with Kelly many times from 2011 to 2016, and was a finalist to permanently replace Regis Philbin. In a 2012 interview, Groban said, "Music is so 100 percent for me that the idea of giving that up in any way, shape, or form would be terrifying to me. That said, I've had more fun doing it than many things I've done in the past—it was a great time. So yeah, maybe, you never know". Groban plays Malcolm Wyatt, one of Reverend Harris' choirboys, on Ally McBeal, episodes "The Wedding" and "Nine One One" (2001). He has made two guest appearances on the series Glee as himself. Groban appeared on BBC Two's hit British music quiz Never Mind the Buzzcocks, and his first appearance was as a guest on Omid Djalili's team. On December 21, 2010, he returned to the show, this time as guest host/quiz master and ending the show duetting with Michael Ball in a version of "I Dreamed a Dream" from Les Miserables. Groban appears in two episodes of The Office as Andy Bernard's brother ("Garden Party" and "The Boat"). On Tuesday, May 24, 2011, Groban appeared as a mystery guest star on the season 12 finale of Dancing with the Stars to surprise Petra Nemcova by singing "You Raise Me Up" to her dance. When she saw that it was he who was actually singing and not one of the usual performers, she momentarily was too stunned to continue dancing. In the comedy Crazy, Stupid, Love., a film starring Steve Carell and Ryan Gosling, released on July 29, 2011, Groban played a character named Richard, a caddish and nerdy attorney. In 2012, he appeared in episode 5 of series 12 of the revived British comedy panel show, Room 101. In October the same year, his cover of "You Raise Me Up" was used in the Halloween-based teen comedy film, Fun Size in which Peng turns on the car stereo in Roosevelt's car and while he and Roosevelt are fighting over it, the knob breaks and the stereo blares the song at full volume, thus making Roosevelt, Wren, Peng and April uncool as they roll onto a night-cruising street. February 2013, Groban appeared in CSI: NY's "Blood Actually" (episode 16 of season 9), performing his new song "Happy In My Heartache", and guest anchored on Canada AM. Also in 2013, he played one of the lead characters named Sam in the independent comedy film Coffee Town, produced by CollegeHumor and co-starring with longtime friend actor Glenn Howerton. Groban appeared on the cable television comedy show It's Always Sunny in Philadelphia episode "The Gang Saves the Day", the 100th of the series, also co-starring Howerton. He shows up in the character Dee's fantasy sequence. On November 7, 2013, he made the first of several appearances in the CBS comedy The Crazy Ones alongside Robin Williams and Sarah Michelle Gellar. Groban appeared in the 2014 film Muppets Most Wanted as an unnamed prisoner in a maximum security prison in Siberia. Groban's character is first only heard, as he is in a large metal box with a small slot at around eye level. The actor is revealed in the musical number "Together Again" later at the end of the film. In 2015, he appeared as a cameo in the seventh season of Parks and Recreation. Various music critics have described Groban's voice in different ways, with some referring to him as a tenor and others as a baritone. In performance, Groban's music goes as low as G2 (as in the songs "To Where You Are" and "Higher Window") and extends up to at least B4 (as heard in "The Duel" from Natasha, Pierre & The Great Comet of 1812). This places his voice lower than the tenor range on the low end, and just short of tenor C, and therefore above the baritone range, on the high end. There is no authoritative system of voice classification in non-classical music. The problem lies in the fact that classical terms are used to describe not merely various vocal ranges, but specific vocal timbres each unique to those respective ranges, and produced by the classical training techniques with which most popular singers are not intimately familiar and which are not universally employed by the few that are. In a 2002 New York Times article, Groban described himself as a "tenor in training". He mentioned during his appearance on The Late Show with David Letterman in December 2013 that he is a high lyric baritone. On Twitter, in March 2012, he had also mentioned that he is a baritone "with some high notes up my sleeve." Under the guidance of his mentor David Foster, Groban performed for many charity events that included VH1 Save the Music Foundation (2005), Tsunami Aid: A Concert of Hope (2005), Fifth Annual Adopt-A-Minefield concert (2005), 2nd Annual Grammy Jam (2005), Live 8 (2005), The Heart Foundation Gala (2005), and David Foster and Friends Charity Gala (2006). He also sang a solo on the recording of We Are The World 25 for Haiti (2010). Inspired by a visit with Nelson Mandela during a 2004 trip to South Africa, he established the Josh Groban Foundation to help children in need through education, healthcare and the arts. Mandela appointed Groban as an Official Ambassador for Mandela's Project 46664, a campaign to help raise Global awareness of HIV/AIDS in Africa. On April 25, 2007, Groban performed with the African Children's Choir on American Idol's "Idol Gives Back" episode. Also on September 2, 2007, Groban donated $150,000 to Charlotte-Mecklenburg Schools to fund music education. On February 28, 2008, he appeared in One Night Live at the Air Canada Centre in Toronto, Canada with Bryan Adams, Sarah McLachlan, Jann Arden and RyanDan in aid of the Sunnybrook Hospital Women and Babies Program. In honor of his 27th birthday, his fans set out to raise $27,000 in a project called "Raise 27". They ended up raising a total of $44,227 for the Josh Groban Foundation, to benefit the Noah's Ark children's orphanage called Siyawela in South Africa. Groban has since referred to this donation as "the best birthday present ever". 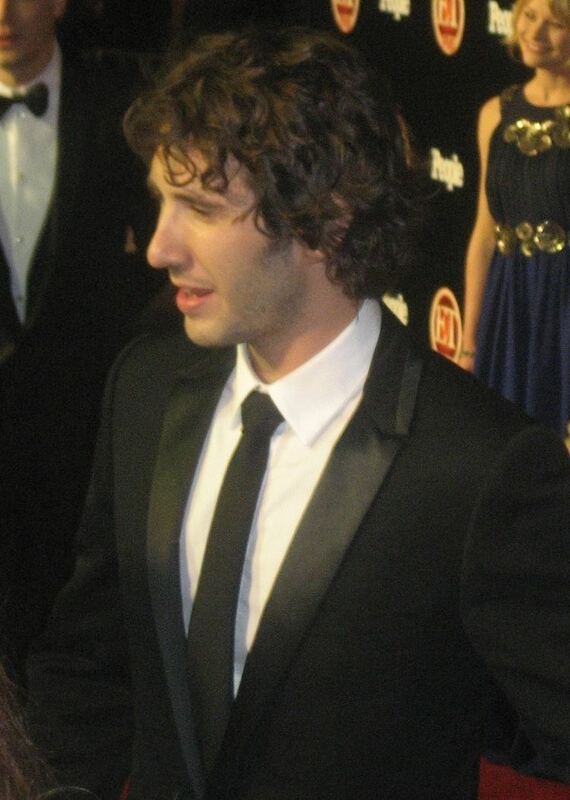 Groban performed at The Angel Ball on October 21, 2010 to benefit the Gabrielles Angel Foundation for cancer research. In April 2013 and the previous year, Groban took part in Global Poverty Project's "Live Below the Line" campaign, which consists in living on $1.50 a day to raise awareness of extreme poverty around the world. He also wrote a song inspired by the campaign. On October 30, 2013, Groban met with Little Kids Rock students in Newark, NJ before his concert at the Prudential Center. His Find Your Light Foundation also made a donation to Little Kids Rock to support their mission of keeping music education in our public schools. An active arts education philanthropist and advocate, Groban is a member of Americans for the Arts Artists Committee. Some of Groban's musical influences have been Radiohead, Steve Perry, Paul Simon, Sting, Peter Gabriel, Freddie Mercury and Björk. He cites as vocal influences "anyone who told a story with their songs," including Mandy Patinkin, Klaus Nomi, George Hearn, and Luciano Pavarotti. He was named the Best Selling Artist of All Time on Barnes & Noble in 2007. Groban has sold more than 20 million albums in less than ten years. In 2002, Groban was listed as "100 Sexiest Newcomer" and in 2008, he became one of People's "100 Most Beautiful People".